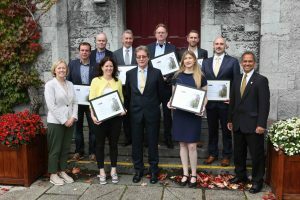 The Whitaker Institute is delighted that four of its members received President’s Research Excellence Awards at the annual Research and Innovation Symposium on 4 September. Dr Kieran Conboy, Lead of the Agile and Open Innovation (LERO) research cluster, received a Research Supervisor award. 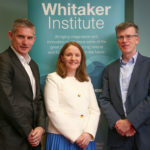 An Established Researcher award was presented each to Dr Frances Fahy—Lead of the Environment, Development and Sustainability research cluster and member of the Creative, Liveable and Sustainable, Socio-economic Marine Research Unit, and Social Sciences Research Centre research clusters—and Prof Brian McGuire of the Health and Well-being research cluster. Dr John Cullinan of the Population and Migration research cluster also received an Early Stage Researcher award.